I’m a lucky girl, a very happy, satisfied and contented girl who turned 23 yesterday. So lucky that I ended up with a huge 2kg carrot cake to eat all by myself and that’s just what I did. You know what people say about girls who turn 23? Their appetites grow too and so does their mouths. That’s what happened to me. 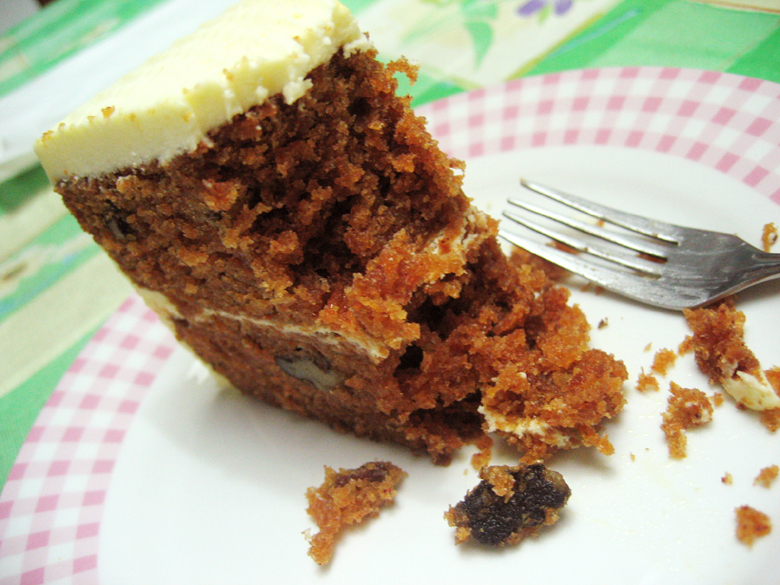 I made my way through the entire 2kg of carrot cake and ended up with a very happy belly. And then something interesting happened…. Sorry but I really couldn’t help it! Just feel like being silly. 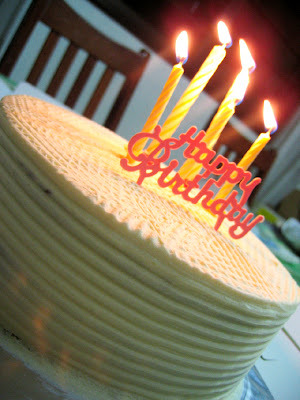 Somehow, I think turning 23 is kinda fun – you don’t feel too old and you don’t feel any younger. I feel the same actually. Maybe wiser and taller than I was at 13? Duh! heh. But hey, I wasn’t lying about the 2kg carrot cake. The lovely people from Calendar sent me their carrot cake because they had read on my blog about my love for carrot cakes. Apparently their carrot cake is one of the best and I got to try it first hand. My verdict? Darn right they are… those people who rave about their cakes. It’s made the typical American way; and owned by an American, no less. Their carrot cake is moist and chockful of walnuts and raisins; even the cream cheese frosting is delish. It has only been a day but the cake is slowly disappearing. My family loves it. I had some again for breakfast this morning. They taste really good warm. I popped mine in the microwave for a while and it’s superb. Heard that their apple crumble and apple pies are to die for. Cannot wait to try them! Thanks Calendar for making my birthday extra special! 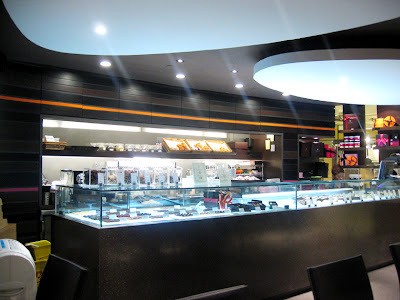 We went to Paragon to check out Canele because I had heard alot about it and wanted to check out their macarons (i’m in a total macaron craze right now). Their macarons were sold out though. 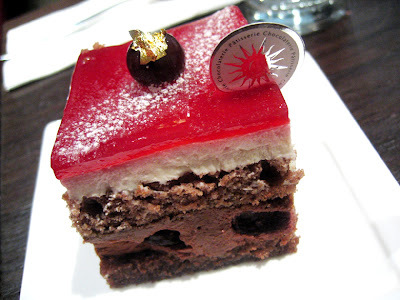 But we shared a slice of black forest and gateaux chocolat. Haha I feel like a queen after ahem eating that bit of gold foil. 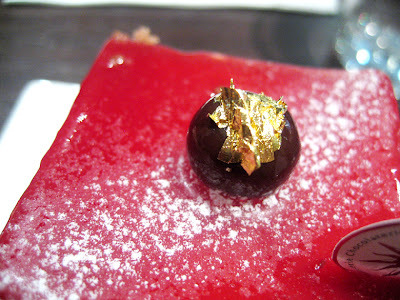 Anyway this cake had whole cherries and the cake has kirsch. You should have seen the look on our faces! The chocolate cake was even better. It was flourless I think. Simply gorgeous. That’s how I’d describe it! We were so happy with dessert that we walked out of the place with huge smiles. What about dinner you ask. Haha… we had pasta at Bakerzin. I had the Aglio Olio and sis had the cream mushroom pasta. The aglio olio had 6 whole chilli padis. Can you guess what happened to them? 5 ended up in my brave mouth. Yea, don’t you know what a spice queen I am? And so, that’s how my birthday went – simple, sweet, and spicy… just the way I like it. Hi! 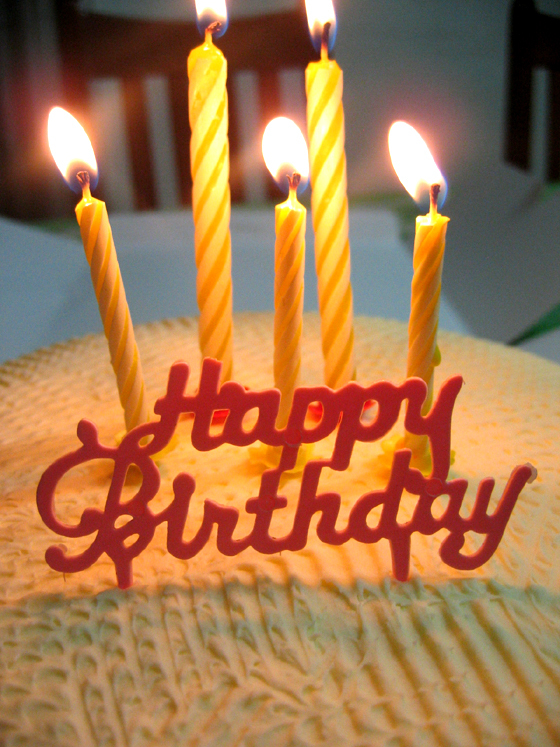 Happy Birthday to you and hope you had a wonderful day. The carrot cake really looked yummy. I love carrot cake too and could you email the receipe to me, pls? Great to see you at the Makankaki sessions! 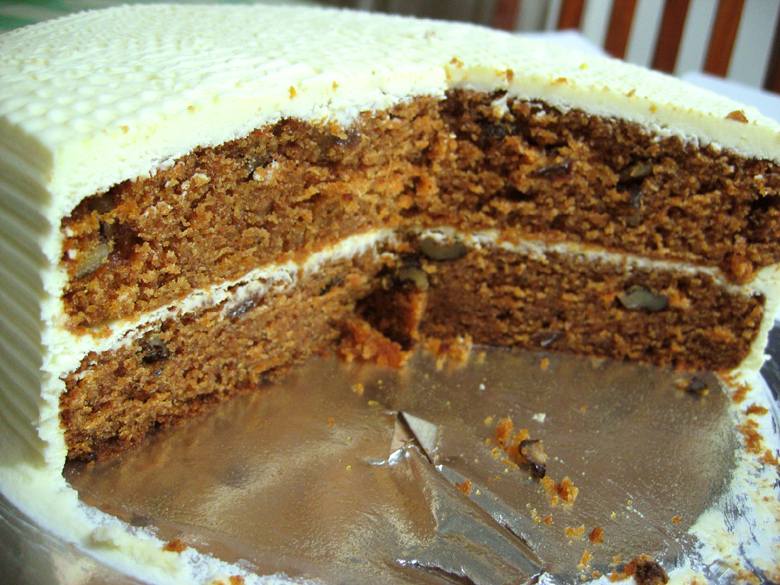 Just remember: carrot cake is made with carrots. That means it’s healthy and you can eat as much of it as you want! 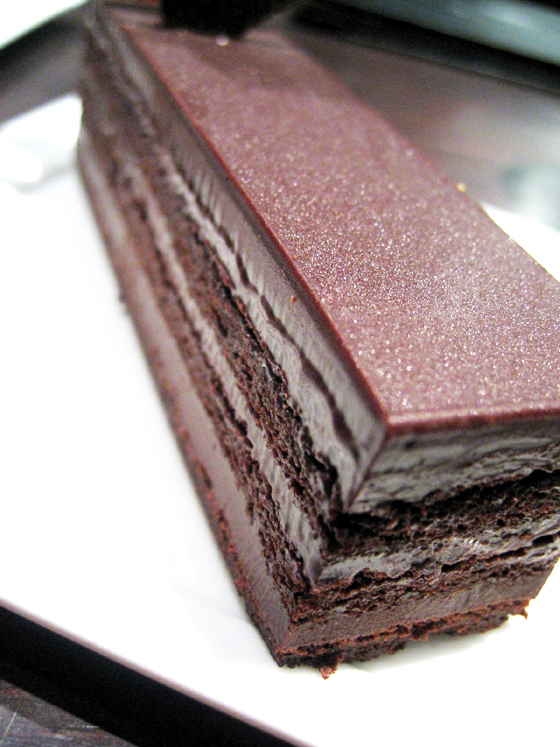 your vivid cake description left me drooling all over the laptop. I was wondering though if you knew anywhere I can pick up some baking skills but without using diary products and eggs in the process? Hi, i’ve tried http://www.calendar.com.sg but it still routes to a web hosting site. Yes, I agree with dshan too. Think there’s something wrong with the site. Yah, i realised that too! Probably their webby has been tampered? So hopefully the webby error will be retified soon. my bad! totally forgot bout the ‘s’. Hey, happy belated birthday, Cheryl. Have a good year ahead. The link from your site to calendar is the web hosting website. 🙂 Is the carrot cake better than Cedele’s?? First of all i would like to apologise for leaving a distasteful comment earlier on. I was having a bad day in the kitchen and my sister happened to show me a food blog(yours). If you really want to chase that dream of lifting a sautepan or a rolling pin then welcome abroad.May your dreams come true.